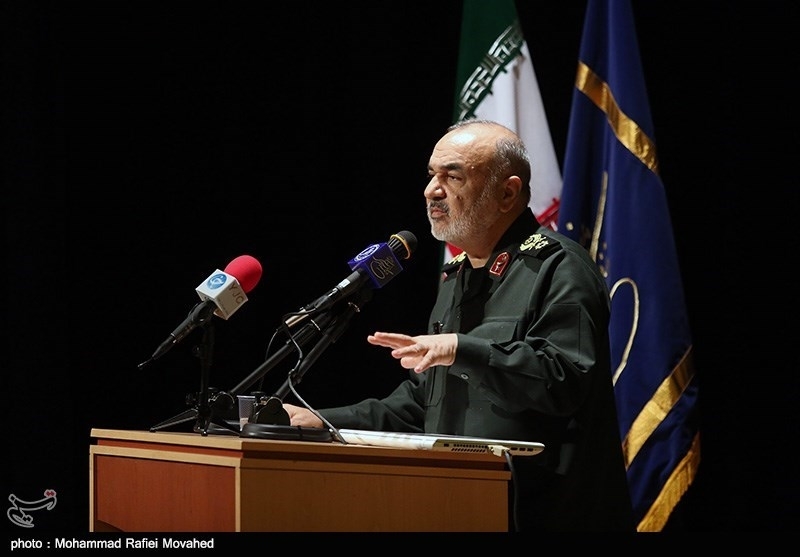 TEHRAN (Tasnim) – Islamic Revolution Guards Corps (IRGC) Lieutenant Commander Brigadier General Hossein Salami highlighted Iran’s preparedness to counter foreign threats and said if enemies dare to attack the Islamic Republic, the country will become fully offensive. In a speech in the southeastern city of Kerman on Saturday, Brigadier General Salami said a nation that cherishes martyrdom on the path of God will never be defeated and will never be fearful of the enemy. “The whole world should know that when we talk about martyrdom it does not mean that we stand still so that the enemy attack us and kill us,” he added. In similar remarks in April last year, Leader of the Islamic Revolution Ayatollah Seyed Ali Khamenei said the US government is aware of the crushing response it will have to face in case of taking military action against Iran. The era of hit and run is now over, and the US knows that if it gets entangled in military action against Iran, it will receive much harsher blows, Ayatollah Khamenei reiterated.